Hello! Despite a sprained ankle and the terrible weather I can't help but feel chipper today. That's right, I use words like chipper! Anyway, while I'm in such a good mood I thought I'd share a really great website called "Character Design Page." "Character Design Page" shines the spotlight on some of the best character design talent in the business. Not only the big names like Stephen Silver but one's who you may never have heard of, especially if like me you're an outsider looking into that particular market. For me it's a great resource, not only for the inspiration it gives me but also for the insightful process videos they share. 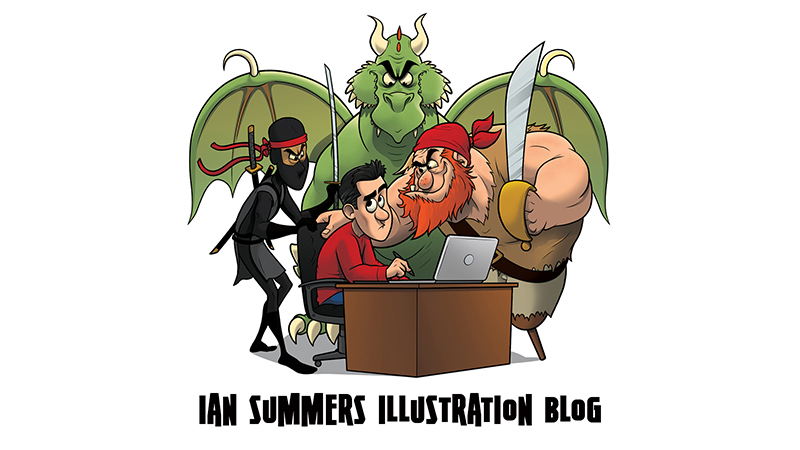 If you're an illustrator then you should really take a look.